fellowship, in the breaking of bread, and in prayers. This is the hour dedicated to remembering our Lord and proclaiming His death until He comes (1 Corinthians 11:23–26). Through the leading of the Holy Spirit, we worship together in prayer, hymn singing, and Bible reading. 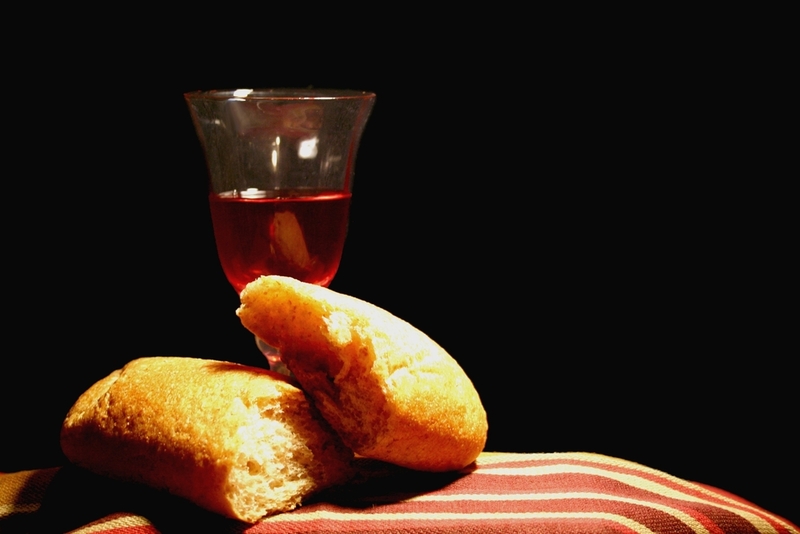 All those who have joined in fellowship then partake of the bread and wine, symbolizing the body and blood of our Lord Jesus Christ. Following a short break for coffee and light refreshments, we sing some songs together and dismiss the children and young people to their classes. We thenwait for a word from the Lord during our ministry meeting. As led by the Spirit, one or two brothers will share a message of encouragement, challenge, and gospel truth. These messages can be heard by clicking here. Please join us for our midweek meeting, where we come aside from our busy weekly schedules to pray and open God's Word together. These sessions are always enjoyable, engaging, and thought provoking. We have recently enjoyed studies through First and Second Peter, Jonah, the three epistles of John, and the Songs of Ascents, Psalms 120–134. Now we are in the midst of a study of Paul's first letter to the Corinthians. We had a great time together Saturday morning, fasting and praying for the needs and ministries of the local assembly, brothers and sisters worldwide, and other needs. Our hope is to make this a regular event in the coming months. You can view our list of prayer concerns by scrolling down and visiting the password-protected Member page. Many of us attended the local conference, held each year at the Fort Lauderdale Gospel Hall at the end of January. This year, the theme was “The Motive, the Model, and the Mark,” considering passages from the book of Philippians. The conference was well attended, with several visitors from around the US and the West Indies. Click the image to the left for a slideshow of images from the weekend, courtesy of Donovan McFarland. We had a wonderful time together as 32 of us traveled north to Orlando to visit the Holy Land Experience theme park. In addition to learning more about the land of Israel before and during the time of Christ, we also were able to enjoy conversation with one another, making new friends and deepening our relationships. We encourage all to attend future events in the coming year. Click the video to view a slideshow of pictures from the trip. We had a great time at this year's Southern Family Camp in Leesburg, Florida, where we got to know more about God as Three in One: Father, Son, and Holy Spirit. We enjoyed our time together learning from the Word in our five Bible classes, singing around the campfire, and contemplating the Lord in the stillness of His beautiful creation. There were around 100 in attendance, of all ages, joining us from across the southeast US and Jamaica. Click the video to view a slideshow of images, or visit our camp page for recordings from camp and our downloadable group picture. Click the button below to access the portion of our website dedicated to local assembly business, prayer requests, and other miscellaneous matters of local concern.